Picotech Snowmobile Dolly Set is a three piece unit that enables minimal clearance turning to safely maneuver a snowmobile in your storage area. 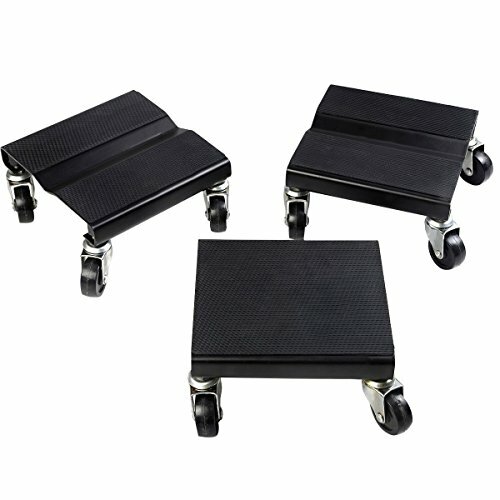 As a set this item features a 1500-lb load rating with a strong steel plate design and hard rubber casters. • Front Dolly (V-type): 7.8" X 7.8" X 4.5"
• Rear Dolly (Flat-type): 7.8" X 7" X 4.5"